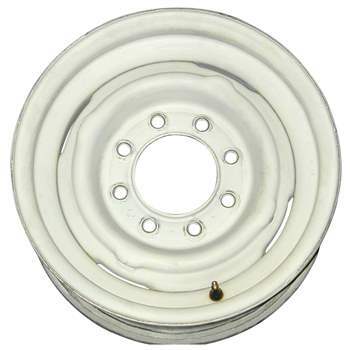 This is a 4 Slot 16x6.5 inch, 8x6.5 bolt pattern, One Piece Steel Factory, OEM Wheel, Rim. The position on the vehicle is: Universal. Interchange Number: 8009. The Manufacturer Part Number is: 15643332 and the identification stamp/number is: N/A. Our Company is not affiliated with General Motors. All trademarks mentioned herein belong to their respective owners.